A family table discussion raises the question about how many ways a teacher contributes to hopes for our future. Teachers offer the greatest hope for our future. It is the one profession where passion and commitment reap major benefits.Teachers do make a difference. Every child that enters every classroom in September will be different in June. How they change rests, in part, with the experience they have during the year. If the only objective is to get one year older, then little is required from the adults. Fortunately, more is expected and delivered. Teaching is not a random act. All of the components of teaching, from the planning and preparation through to the modeling and mentoring, are designed to have an impact on each student. While this design is critical, the most important criterion is our personal interactions and relationships with kids. I hope this book continues to inspire teachers and remind them of the connection they make to kids and how important this connection is. Every student needs a significant adult in school. As teachers we have the best opportunity to fill this role. 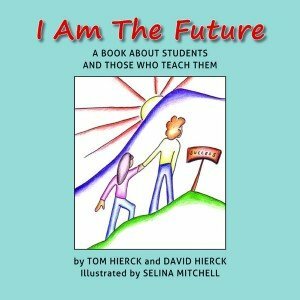 A book about students and those who teach them. 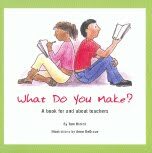 I was wondering how I can order a copy of “What Do You Make” for my Principal for Christmas. Hello. Were you able to get a copy for your principal?